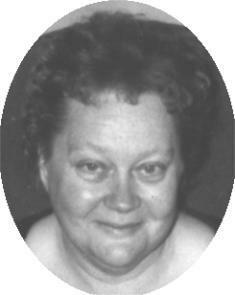 Linda L. Erickson, 64, of Mayfair Drive in Saukville died peacefully at her residence on August 26, 2004. She was born February 12, 1940 to Emil J. and Helen L. Hayes Erickson in Ladysmith, Wisconsin. When she was a sophomore in high school the family moved to the Port Washington area, but she always had a fondness in her heart for Ladysmith. As Linda was needed she cared for most of her family and friends, always giving of herself. She enjoyed reading, crocheting and taking the occasional trip to the casinos to try her luck. Linda is survived by her daughter Lisa (Ron) Holtslander of Port Washington and their children Ronald Jr. and Amanda, her brothers Jim (Sally) Erickson and Michael (Bonnie) Erickson both of Port Washington, nieces Callie Erickson of Saukville and Tammy Erickson of Cedar Grove, sister Virginia “Ginny” Vollmer of Saukville and her children Ginia, William and Elizabeth. Further survived by goddaughter Kelly Jean Carroll of Illinois and her son Corey Gordon and daughter, the late, Jenny Lyn Gordan, godson Robert Peffer of Milwaukee, great nephews Brandon and Zachery Erickson, other relatives and friends. She is preceded in death by her parents, and nephew James Erickson. Fr. Karl Acker will officiate funeral services 6 pm Tuesday, August 31, 2004 at the funeral home. Cremation with final interment in Ladysmith, Wisconsin. Visitation after 4 pm Tuesday at the funeral home.